Free Shipping Included! 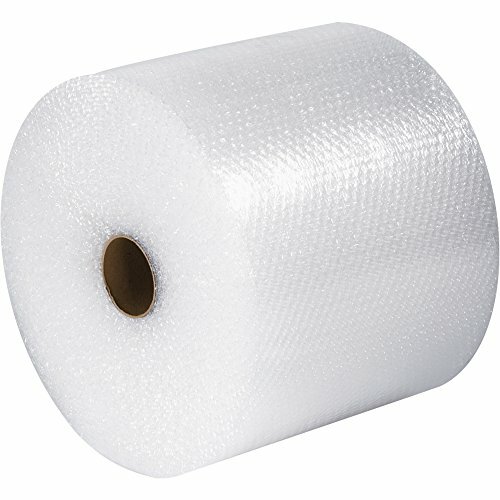 Ship Now Supply SNBWUP1248 Upsable Air Bubble Rolls, 1/2'' x 48'' x 125', (1 Roll), 48'' width, 0.5'' Height, Clear by Ship Now Supply at In The National Interest. MPN: SNBWUP1248. Hurry! Limited time offer. Offer valid only while supplies last. 1/2 inch x 48 inch x 125' upsable air bubble roll. Nothing cushions like a blanket of air! air bubble makes excellent cushioning and void-fill. 1/2 inch x 48 inch x 125' upsable air bubble roll. Nothing cushions like a blanket of air! air bubble makes excellent cushioning and void-fill. Protects against shock, abrasion and vibration. Upsable sized rolls. Sold in 48 inch Master bundles.